It’s very rare that you will find a blogger so humbled that she would have nothing to say. But that was what I was this weekend. I can not believe how God has blessed me over the years to be in the company of such overwhelmingly awesome group people. . While Saturday was my birthday, Thursday was the 7year stamp of my 11 year old daughter’s transition from this life. Over the years I’ve managed to accept her not with us, but this year was different….it hit me rather HARD. It seemd like everything was just bursting at the seams. Because I didn’t want my other kids to see me so vulnerable, I kept them busy all day lo ng till my husband got home. After I sneaked away to my quite place…the bath tub. I got in a good 25 minutes in, till reality mashed “unpause”. It was all I needed though. We went out to dinner and everything was back on track. Most birthdays are the same for me. I use it as a day of reflection and self check like a yearly job review…Boy was last year a dooozie! NO regrets though. After all. everything that I am,is a direct reflection of my past, and I it’s all good. So fast forwarding to Saturday. 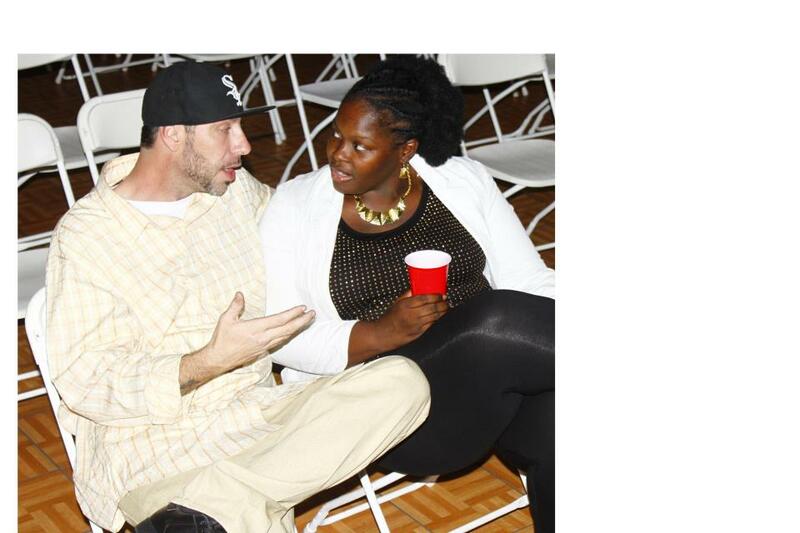 I attended NDemand’s The Love Is So Funny tour. It was totally awesome! 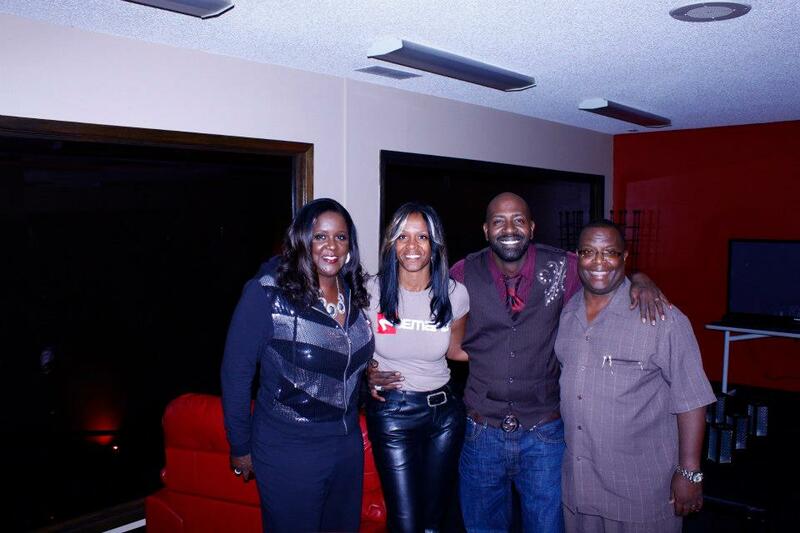 Charlene Henderson and her team really know how to put on a safe/secure,classy,shindig for real grown folks. I wore heels -can you believe that? There was live music, live entertainment, food,drinks,cozy atmosphere, great hosts,and did I say Soul singing Shirley Jones from the JOnes Girls was there? She was amazing! Her legs, skin, eyes,smile, and dress- wow! What a beautiful and talented woman! She even brought her teenage daughter with her. How cool was that? She was lip singing her moms songs as she sung….well most of them anyway*. Friday Four: 4 Secret of uses for BREAST MILK! Breastmilk – it’s not just for babies anymore! I’ve compiled some amazing uses for breastmilk – nature’s super food. Get Rid of Diaper Rash: Breastmilk can help heal diaper rash, so squirt some on, allow it to dry in the air, and watch the rash disappear. Clear Up Baby Acne and Eczema: Massage breastmilk onto your baby’s face to clear up baby acne. Cradle Cap: Conventional mama wisdom says to massage breastmilk onto baby’s scalp to get rid of it. Donate It: If you have breastmilk in abundant supply, consider donating your milk, either to a friend/ acquaintance or through a milk bank. Pain Relief: The endorphins in breastmilk can actually reduce pain felt by your child, so nurse away anytime your little one gets hurt. Ear Infections: Dr. Mercola says that there is a simple solution for childhood ear infections: just “put a few drops of breast milk in the ear canal every few hours. This usually works to clear up the infection within 24-48 hours and is far safer. Prevent Childhood Illnesses: Because your baby’s immune system is not mature, theantibodies present in breastmilk can help protect him against a variety of childhood illnesses, including “ear infections, upper and lower respiratory ailments, allergies, intestinal disorders, colds, viruses, staph, strep and e coli infections, diabetes, juvenile rheumatoid arthritis, many childhood cancers, meningitis, pneumonia, urinary tract infections, salmonella, Sudden Infant Death Syndrome(SIDS),” asthma, and more. Prevent Adult Illnesses: Research has also shown that breastfeeding can help give “lifetime protection from Crohn’s Disease, ulcerative colitis, some lymphomas, insulin dependent diabetes, breast and ovarian cancer” osteoporosis, multiple sclerosis, and others. Prevent Illnesses in the Breastfeeding Mother: Breastfeeding reduces the nursing mother’s risk of breast, endometrial, and ovarian cancer, protects mothers against anemia, and can stabilize the progress of endometriosis. Conjunctivitis/Stys: While there have been no studies (to my knowledge) that prove whether it help get rid of conjunctivitis or stys, many breastfeeding mothers have found it helpful. And from the research on clogged tear ducts, it may follow that breastmilk – especially colostrum – could be beneficial. Sleep Aid for Baby/Child: Nucleotides in breastmilk actually help babies go to sleep. 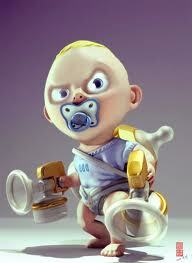 With out a doubt it makes for the pacifier! Tranquilizer for Mom: Hormones released in mamas while breastfeeding decrease blood pressure and act to calm and soothe mothers, helping them sleep. Soap: “Milk is touted as an ideal ingredient for skin care products because it contains essential proteins, amino acids, and vitamin A, which nourishes skin. Milk is also rich in lactic acid, which cleanses and softens.” Check out two recipes for breastmilk soap and oneEtsy shop that sells breastmilk soap. Red or Puffy Eyes: If you don’t have cucumber slices for your puffy eyes, saturate two cotton balls with cold breastmilk. Moisten Chapped Lips: If you run out of lip balm and need instant relief, rub some breastmilk on your lips. Lotion: One resourceful mama has published a recipe for a homemade breastmilk, oats, and honey lotion. Popsicles: Either freeze plain old breastmilk into those little plastic popsicle forms, or jazz it up with some green smoothie add-ins. Let teething toddlers have healthy, cold relief. Mesh Feeder: If you don’t have popsicle molds, you can also freeze breastmilk into ice cube trays, then put some in a mesh feeder for teething toddlers. Baby Food: If you are making your little one fresh baby food, add some breastmilk to the mix! Sherbet: What a great way to help a little one with a fever or a sore throat – sherbet made from mama milk! mothers across generations have tried and can attest to the powers of breastmilk.- Till next time, QC Supermom! Before you continue….. feel free to click on the clickable links. There’s GREAT ADDITIONAL info attached. Also be sure to let me know how you like this post. As parents, our child’s birthday is more special to us than the 4th of July or New Year’s Eve. After all, it’s the anniversary of the day our precious baby came into the world and changed everything forever. It’s only natural to want to throw an elaborate bash befitting such a monumental occasion. In our family it is treated as a holiday! We teach them that we only have 2 December babies in the family. And neither of them are named Jesus. However, as any parent knows who has had to accompany their own child, gift in hand, to the birthday parties of countless school friends, making the scene on the birthday party circuit can get expensive and exhausting. Here are some tips on being a gracious party guest and for throwing birthday parties that work for everyone. Who should be invited? You may want to. But do not invite their entire class, of the neighborhood friends, their soccer pals, plus any cousins who live nearby. It isn’t practical or affordable for most families. First, ask yourself how many children you are comfortable hosting, and do let your budget be a consideration. One common guideline is to invite only as many children as your child’s age, plus one. The idea behind this is to keep the party small when children are young so they are less likely to be overwhelmed. Then, each year your child learns to handle a larger group. Older kids may be able to phone their friends and invite them over, but they should still be polite and not discuss it around other people. Another thing to consider is whether the party will be indoors or out. Typically, it is easier to host a larger group of children in an outdoor setting. You may decide to hold the party at another location such as a recreation center, church hall, or a business that offers party packages, in order to invite more children. Also, be honest with yourself about how much time and energy you have for this event. There are times when you can handle a ten-guest party, and there are times when your sanity is best preserved by taking four of your child’s closest friends out for a movie and ice cream sundaes. Whether you have a big backyard bash or a smaller destination party, do invite your child’s friends, but do not feel obligated to include their friends’ siblings. Mama Tip: Plan out the flow of activities ahead of time: lunch, project, birthday cake, pick-up. Planning cake time for the end of the party is key—the last thing you need are a dozen sugar-charged kids running wild when they’re supposed to be making pipe cleaner caterpillars. What if your child is invited to a party where she’s expected to buy something (like a costume or admission to an amusement park), and you can’t afford it? You could DIY the needed costume yourself, which could be a great bonding project. Or politely decline….more on that later. What’s the most tactful way to remind guests to RSVP? Make sure you give a date by which you want RSVPs, and a method or two to reach you (a phone number is best, says Post). Then, one week before the party, call any families you haven’t heard from and say, “I wanted to call to see if Johnny was going to be coming to the party. This is the time and date again. Please let me know—I’m just trying to get an accurate head count.” You’re not being pushy by giving a friendly reminder. 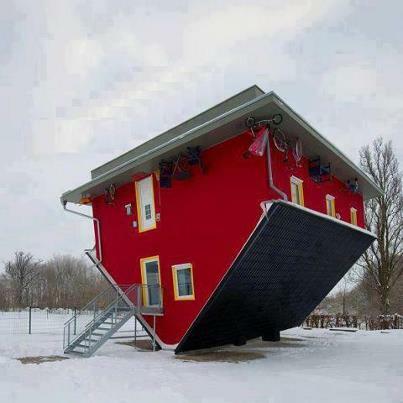 What if your current financial situation does not allow any budget for presents? One option is to call the hosting parents to let them know. You can say something like, “Store-bought birthday gifts are tough for us to purchase right now. 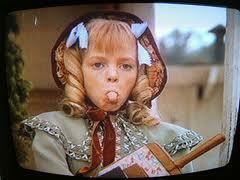 We were thinking of baking Kelly’s favorite cookie. What does she love?” This lets the other mom know what to expect, and that you really care, without asking her what you should do. Of course, you also have the right to discuss the situation with your child and politely decline the invitation. 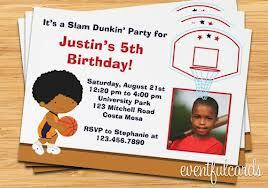 One of the hottest trends in kids’ parties today is the request for No Gifts on the party invitation. There may be several reasons for this, including: limiting extravagance, teaching philanthropic values, and including all guests in the giving. 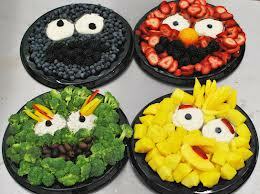 However, it is so ingrained in people to bring a party gift, that it is very difficult for guests to take it seriously. • If you are worried about people spending too much money, state directly on your invitation Gifts Under $10 are appreciated and reiterate this during the RSVP phone call. • If you want to teach a philanthropic lesson, ask people to bring items that support a favorite family charity or non-profit in your community. As an example, if you are having a puppy party, ask guests to bring items for the local humane society. This allows people to still bring something to the party and benefits a charity. • If you want to include everyone in giving and receiving at your party, organize a book exchange and request that each guest bring a book that is exchanged during the party among all of the party guests. Another alternative to traditional presents, that is also green, is to ECHOage your party. Completely on-line, the service allows host parents to send e-invitations to their guests and choose a charity for people to use half of the money they would spend on your kid’s party present to go to a charity and the other half of the money is given to the host parent toward one big present for the birthday child. Charitable contribution combined with gift giving all on-line. No-shows, delays, and inclement weather are party bummers! If your child is six-years-old and younger, expect that the guests’ parents will stay during the party. If you are worried that a particular parent will be rude during your party, then give the person a job to do at your party. If this parent is busy, she will probably be less likely to cause trouble. Also, don’t expect that parents hanging out at your kid’s party will pitch in, most won’t. So, make sure to line up your help well in advance so you can relax during the party and enjoy it yourself! How can I teach my child to be a good host? It’s never too early to involve your child in “writing” thank-you notes. Toddlers and preschoolers can decorate, draw, or scribble an autograph on a note you write. The more ownership your child feels and the more fun you make this part of kids’ birthday party etiquette, the more likely you will be successful at teaching manners to your toddler. 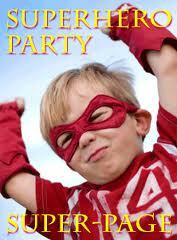 Once they get old enough, boys and girls can help select their own party theme, activities, guest list and so on. If they express discontent that something isn’t going their way during the party, urge them to keep a positive attitude. Be as positive as you can be. The combination of excitement and sugar can be too much for some kids. Try to distract the child with a task or make him feel special with extra attention. If other parents are there, you could ask one of them to take him under her wing. If niceness fails, pull him aside and warn him that you’ll have to call his parents to take him home if he won’t behave. Siblings can present a challenge at a party. Sometimes the best option is to plan a day for your other child with a friend somewhere else. However, if a sibling will attend the party, invite a friend of hers to keep her entertained. Avoid letting an older sibling simply stay in her room during the party — it can encourage bad manners and contribute to jealous feelings. As for older kids……they probably shouldn’t join in competitive games since they’ll have an unfair advantage. This problem can be neatly circumnavigated by not opening gifts at a party. The trend is toward that anyway — it saves time, guest jealousy, and protects everyone from the embarrassment of your child’s true reaction to an unwanted present. Are goody bags a must? 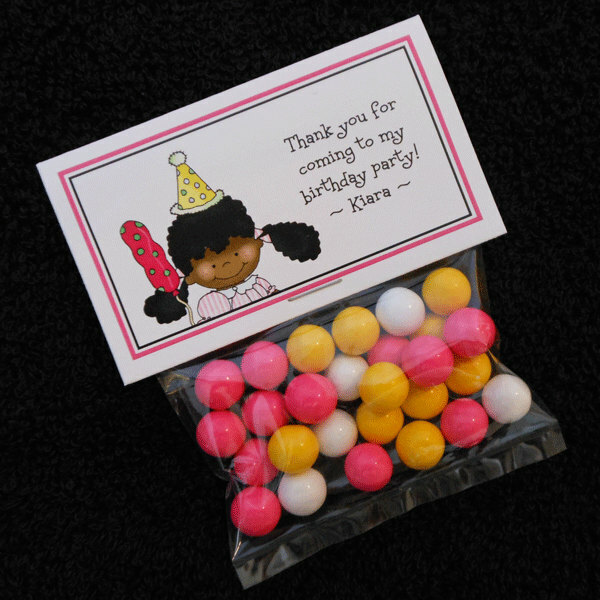 “Goody bags were always a part of parties when I was growing up. Sometimes the most meaningful takeaway is one you’ve made, like sending guests home with homemade muffins, or cupcake liners filled with candies or balloons. accept a return for store credit without a receipt, so try that first. But if that doesn’t work, stash it on the shelf for a spare in case the first one breaks. “I don’t have time to meditate,” the frazzled mom whines, looking at me with longing, disbelief, and slightly wild eyes. How to fit meditation into a mom’s life with three kids under 6 and how not to fall asleep? 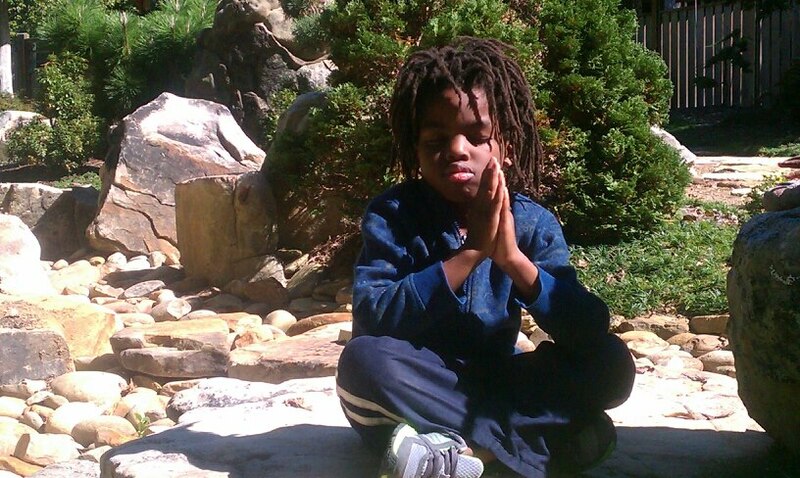 How does a mom with three kids under age 5 fit in time for meditation? Right away you see the point: a mom with three kids under 5 has no time. This is true. Moms with one kid, two kids, three kids, or any number of kids at nearly any age has no time. Things might be simpler if we accepted, for starters, that the time when you have no time isn’t necessarily the right time to do more. And yet this is precisely the time when, because we are so frustrated, strung out, angry and depressed, we feel as if we should do more. We should be a better mom. We shouldbe more patient. We should find peace. Right out of the gate we might make meditation one more thing to punish ourselves with, one more thing we should do. I like to say that “should” is your enemy. Your only enemy. Send should to his room and take a timeout. About that time? You have it. Am I contradicting myself? You may not have the time to meditate the way you think it should be done, but you have the time. How much time do you need? Far less than you might think. The good news is: There are many ways that moms can meditate. Meditation can help you renew and restore yourself, preserve your sanity — and be a better mother to your children. You can teach your little one the thrill of “listening to the quiet” or “listening for God” or “listening for the birds’ songs”. If it’s difficult to find a consistent time to sit quietly and meditate for 30 minutes a day with no interruptions, a 5-minute walk with your child could be possible. A ten-minute meditation just after he goes down for his nap is another possibility. What is really nuts is not taking care of yourself when the opportunity arises. How do you keep from falling asleep? Keep your eyes open.Start your practice by sitting for five minutes. 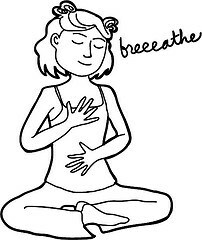 Put your attention on your breath and follow the inhalations and exhalations. Let thoughts come and let them go. If five minutes is too long, make it four. If it’s too short, make it six. Do it every day and your practice will naturally grow. 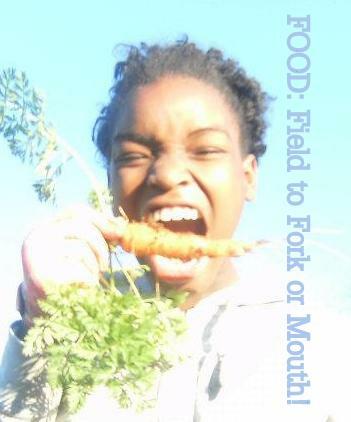 October 2012 marks the third annual Non-GMO Month, and the celebration could not be more timely. The Fresh Expo was a great start! It got my mind running. I got empowerment. I would really feel like a failure if I didn’t take advantage of the information I learned. The recipes seem over whelming, as well as the idea of the upfront expense but bottom line I gotta start somewhere so that my kids will thank me later. Continuing from Wednesday, my last post, here’s what we’ve been up to in the QC. 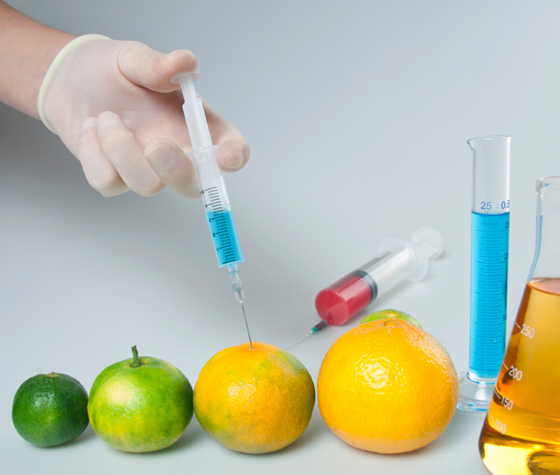 Here are four things to know when you are playing GMO roulette! 1.Educate yourself. Did you know that researchers in France just published peer-reviewed research showing that Roundup herbicide and GMO Roundup Ready crops can cause tumours, multiple organ damage and lead to premature death? For the most comprehensive, up-to-date resource on the web for news like this about the GMO issue, check out the Non-GMO Project’s Facebook page. If you’re not on Facebook, you can watch the home page of the Project’s website for the same news feed. Renee/her: Read a book over the summer called Seeds of Deception. Scared the you know what out of me. Great read but only if you want to know the truth and unfortunately people find it easier to ignore. me: You’re right Renee. We watched Food Inc. again…..I’m certain that we will be going GMO free 100% real soon. I feel that to not make a change after learning is child abuse. 2.Support mandatory GMO labeling efforts. Tell your community about it! Find out if there are any mandatory labeling efforts in the works that you can support in your state. And no matter where you live, be sure you’ve signed the Just Label It petition to the FDA! 3.Host or attend an event. Check out the Non-GMO Month events calendar, and consider adding an event of your own. One powerful but easy idea? Host a film screening in your living room. Invite friends over to watch Genetic Roulette or The Future of Food and serve Non-GMO Project Verified snacks! 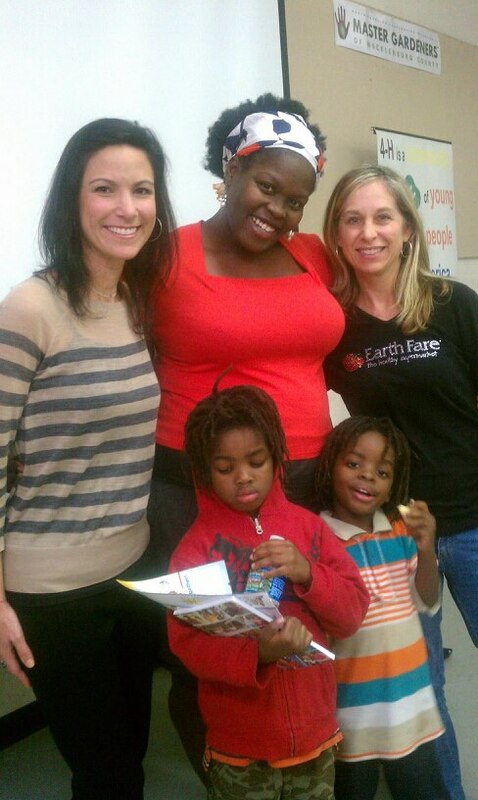 Last night, I took all of my kids to watch Food Inc. Lisa Leake, of 100 days of Real Food, was there as a guest speaker. What a realistic and down to earth mom she is. I brought home some amazing literature to share with my sahm’s. 4.Find a Non-GMO Month Retailer near you. More than 1,300 natural food stores across the U.S. and Canada are participating in Non-GMO Month this year. These retailers are offering clear labeling, educational materials, and great deals on verified products. Show your support for their efforts by shopping at their stores and thanking them for being part of Non-GMO Revolution! We frequent Earth Fare because of their coupons and other community engagement incentives. This Thursday Night in the Queen City will be TOTALLY AMAZING! October alone is a great month in itself, but tomorrow is National Food Day, wow………it has taken my dear October to a whole ‘nother level! I’ll have to pick up my massive sweep through at Earthfare later. Please tell me you’re signed up for their coupons? This week, they went crazy with their giveAways! I’ll list later in this blog. Last week, we attended the 1st ever Fresh Expo, now Mecklenburg Cooperative Extension is bringing Lisa Leake from 100DaysofRealFood.com will share her experience in transitioning her family’s diet from processed to a healthy, unprocessed lifestyle. Here’s what I expect to learn: Real strategies that my family can realistically implement. I know she has 2 kids and is obviously bringing in a decent income along with her husband. But it may not reflect a fair percentage of stay at home moms. In our family,my time is spent a bit different. I can’t see us creating those yummy meals every day. Although we garden, use coupons, budget and take advantage of healthy offers like Family Night at Earth fare and having monthly potlucks with very close friends , I know that we can do better. ( Then on weeks when our money is really funny we go 100% vegetarian-with beans and rice in a wheat wrap! :)) How can we eat well every day and stay within budget at the same time? I rsvp’d weeks ago with my mom’s group (Queen City SAHM’s). Here’s the link to rsvp. See you there tonight! Ooh, here are Earth Fare’s current goodies & I’ve attached a slideshow of our weekly field trip with the QC SAHM’s! Make sure you text EAT to 71700 to get your savings to to your phone & e-box! The Fresh Expo this Saturday did a great job in explaining it all! For months I was hearing about the No GMO trade show & never really gave it much thought. I know someone on the planning team & I already knew that we would attend if for no other reason to support her. Although the idea of getting loads of goodies were enticing! I really didn’t think it would be a big deal! At most, I expected to get enough samples to share with my sahm’s that did not make it out. Boy was I selling myself short! It was one of the best expos that I have ever attended. …..and I had all of my kids with me! Just to back up & set the tone: Just in case you don’t know who Iam. Let me tell you who I am. I am the 37.85 year old mother of 9 kids. 8 living. 1 one college, 1 passed from a AIH issue in ’05. 1 is a bit chunky. One of our son’s have an ugly kidney- it works well though. 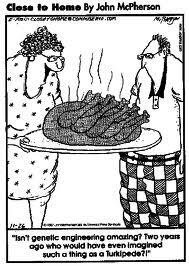 My husband is semi veggie, the rest of us eat meat, but no red meat. We live off one income- I home school somehow I find time to organize educated play dates for kids for Queen City Stay At Home Moms and I blog! In 2005 I lost 78 lbs. , I eat at Earth Fare On Thursdays because I love the Family Night deal and I always ask why and love to figure it out myself. 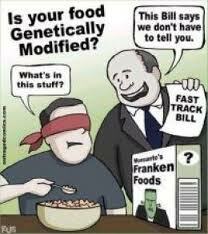 Here’s what I expected: How can I & why should I care about GMO’s being in my families food. Lord knows there’s enough for me to worry about already with our diet. How much more of an expense will this be for my family? Will I realistically learn how to implement anything I learned there once I got home. When scientist alter/modify the dna/genes of a organism, i.e pants and even animals. for alternative motives. ALSO high-risk: animal products (milk, meat, eggs, honey, etc.) because of contamination in feed. It’s important to note that steering clear from these foods completely may be difficult, and you should merely try finding other sources than your big chain grocer. If produce is certified USDA-organic, it’s non-GMO (or supposed to be!) Also, seek out local farmers and booths at farmer’s markets where you can be ensured the crops aren’t GMO. Even better, if you are so inclined: Start organic gardening and grow them yourself. 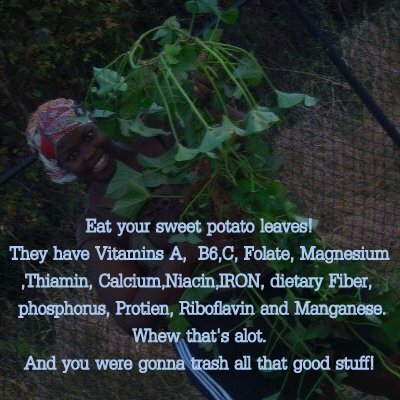 In other words, give processed foods the boot. Pregnant & nursing moms READ this link! Don’t feed your own body cancer magnets! And here’s news for the allergy suffers! I got that from off of Oprahs page! My husband says that I am strait from the laboratory 😦 Yes , he was joking! Here’s what I putting in action from today: Reading and research more. Gardening pesticide free and sharing the information that I learned with as many moms as possible! Most of all making sure that any mom that I am in contact with knows the information that I now have which is simple Charlotte is a great place to eat and here are the best place s to go! Check out this awesome slideshow of a few of my favorite vendors there! The photos were taken by the amazing Mimika Cooney of MiMika Cooney Photography Thank you Cynthia, for inviting me, and everyone that engaged me in a few words and samples to share! Mom’s want to feed our families well. We want to know which products to stay away from. Because our dollars are limited, we need direction, clear direction & as long as I am Mrs. Kelle Pressley, QC Supermom, and there is someone that offers real life resources, I promise to spread the word. See you all soon! So, how do you celebrate being 38? I Googled it & look what came up? Maybe I read it wrong……-should I assume that they are inferring I’m old? I’m getting up there. I know it…..but in so many ways I still feel 21. Is 37 suppose to feel this great? It just sounds so old to me. I would love to do something different. Being 37 and married brings with it a certain degree of sophistication and a desire for trendiness.Here’s what I’ve come up with so far. 1. Go to a fancy art & wine tasting party OR some other out of the box social event. I haven’t done anything like that in awhile! 2. Then I thought about going on a date with my husband, but I know for a fact it would end up like any other date. All of the kids would end up tagging along & remember, I want something different. 3. Soon, I pondered having a Girl’s Night Out with some girl friends. One of them sell relationship tools. Rethinking it, I think I’ll pass on that as well. 4. Right about now, having a day to myself sounds good. Maybe not an entire day; let’s say 4 hours. That’s enough time for a shower, magazine, take out , meditation and if I’m lucky, a sandwich all to myself. I JUST found out the kids and my husband have something planned for me…….ok, I’ll take that too. I’m gonna make it myself and save some mula! We had another great family event in the Queen City. 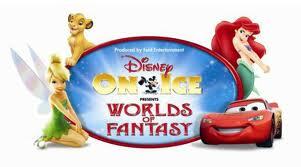 Last night, Disney On Ice “Worlds of Fantasy” premiered at the Time Warner Cable Coliseum. It was unbelievably packed and everyone was just as excited as my children were! We seen some of the most amazing costumes ever from the tiniest of spectators! It’s things like that I like to see. How others prepare and enjoy themselves to attend live shows . Did they like Disney as much as my kids & I do. Just looking at the little smiles and big, bright, souvenir hibiscus, plastic, flower hats in the lobby – BEFORE the show, I’d say YES. Everyone was totally ready for what was about to happen live…… (Even the ones that came in representing Pink for Breast Cancer Awareness as I did). 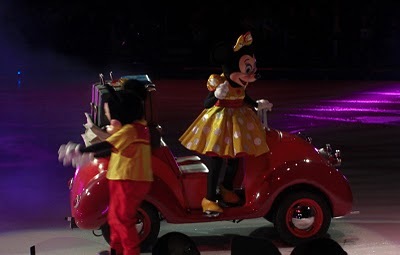 Minnie and Mickey started the tour in a shiny red car that careens around the rink, much to the delight and awe of the young crowd. When the car breaks down, rusty old Mater shows up to tow it, joined by the lovely-in-blue Sally and some of her friends, sporting high-gloss paint, tail fins and white-walled tires. It was amazing to see the cars looking just as they do in the movie but on ice ya’ll!! Next on stage was The Little Mermaid. The music and colors were fun, bright and just great. And that Barbie…..she’s still fly after all these years! 1. It’s great to share your things with others if you no longer need them. 2. It’s smart to take good care of your toys, otherwise they will collect all of their parts back together & pull your toes once you fall asleep. 3. As people get older, they change friends as they move from preschool, up through high school to college and beyond. Some are like silver and others are like gold. Mom will always be there no matter what! 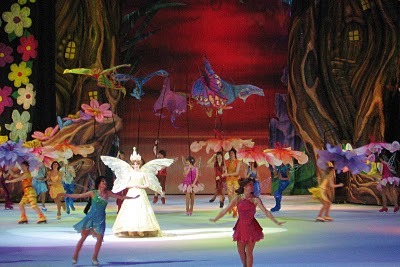 The end of the show took place in Pixie Hallow with Tinkerbell and her Fairy Friends. It was so fun seeing the fairies take center stage and the plot line was really fun. 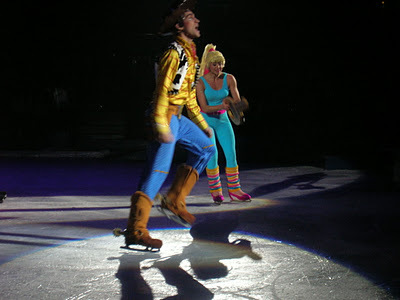 I can say out of all the Disney on Ice shows we’ve seen, nearly faultless ice skating and all it was fantastic! It was filled with tremendous feats of skill and talent, excellent choreography, strong plot, costumes just out of this world. A first class production. This show really offers something very special for everyone in the family. I took my 13, 12, 5,3,2, and 4month old. The 4 month old did well. He slept through most of it. When he was awake, he did just fine watching all the wonderful excitement that he could handle. The little green army men seemed to be his favorite part. Take their favorite toy (as long as it’s not too big!) or dress them up. It makes a great conversation piece when they get older. Try and make sure their view isn’t blocked as best that you can. The ushers at Time Warner Cable are very attentive to everyone’s needs, so this shouldn’t be an issue. 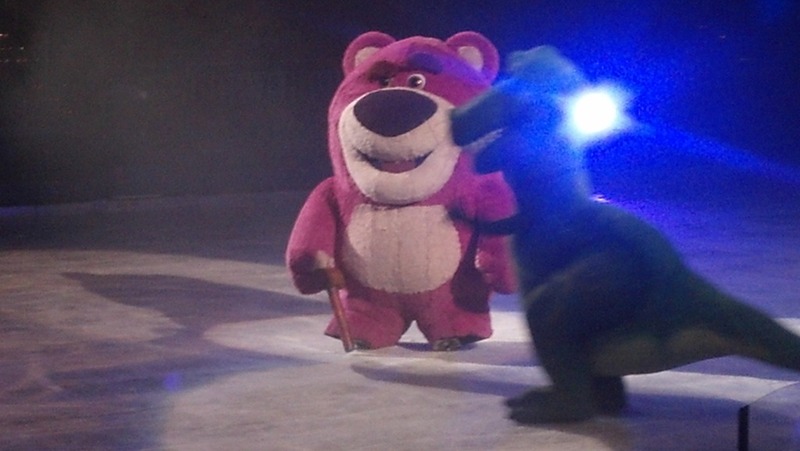 Take them for bathroom/potty break at intermission and of course before it begins! Feed them before you leave out for the show, That stuff is EXPENSIVE. Above all, let them be kids. Watch them jump, sing (The Circle of Life”, “Be Prepared”, “Hakuna Matata” and “Can You Feel the Love Tonight” to name a few) & wiggle! Please make a note that you will still be responsible for service, facility and handling fees. 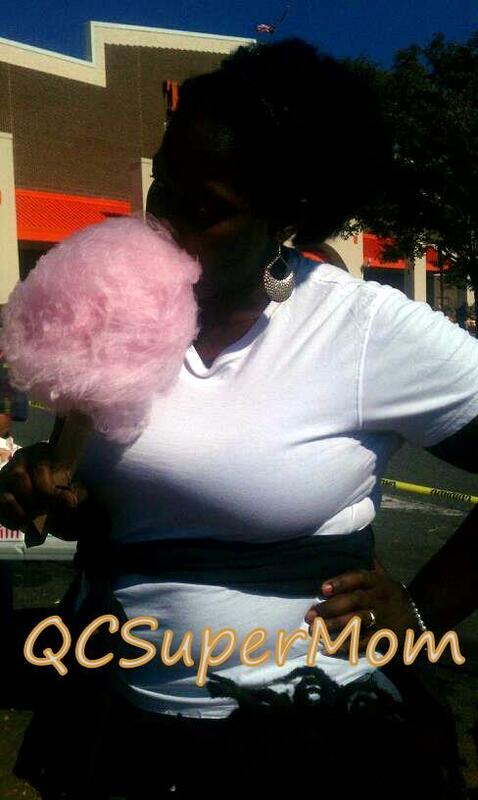 This is solely the opinion of QC SuperMom . Other people may have different experiences with the show. 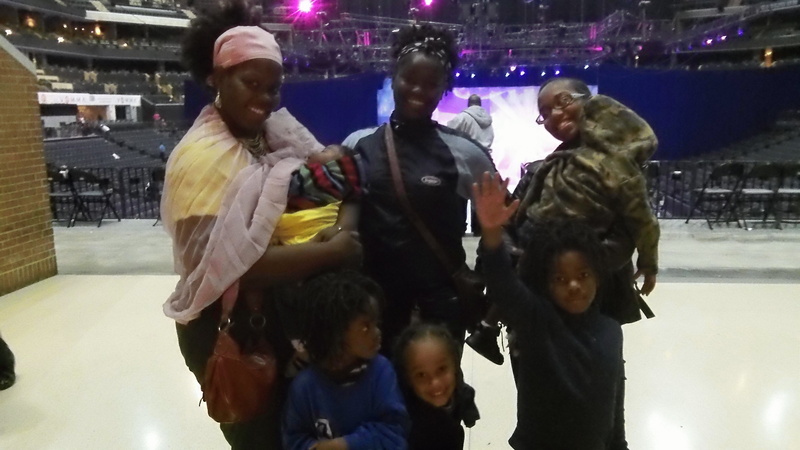 Thanks to Feld Entertainment, my family was able to enjoy a night out at the Disney on Ice Worlds of Fantasy show. 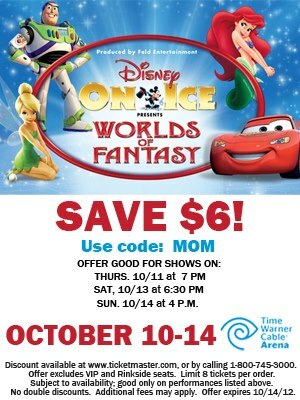 We are no stranger to the Disney on Ice shows and have seen many since my 2nd son was two. We have come back time and again for the wonderful family time that is affordable and remember-able. I value my pediatrician’s advice, but I don’t always do as he has suggested. I make informed decisions and to some extent, I also trust my instincts. 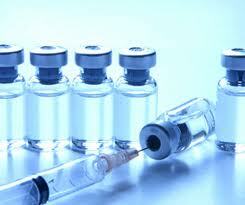 My kids are vaccinated on a slightly modified schedule and there are seasonal vaccinations that we say no to. There are risks with every vaccine, just as there are risks with not getting vaccinated, which is why I believe parents should have the right to choose to vax their children or not. If a parent is that concerned that their child will be studying next to a kid who hasn’t been vaccinated, then that parent should also consider never taking their child to the supermarket, the public parks, the library, or on any playdate without first seeing records of immunization. A parent who vaccinates also shouldn’t be overly concerned about other children who aren’t because they are already protected — isn’t that why they got the vaccine in the first place? Besides, it’s not like non-vaccinated kids are walking around carrying every frightening disease out there. They aren’t. 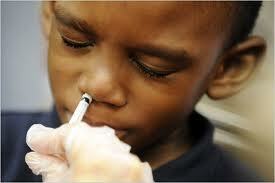 When it comes to school, all children despite if they are vaccinated or not, should be allowed in. We pay a lot of taxes for public school. And private schools are costly. Most likely a private school will have full disclosure on their policies and parents see if it’s in line with their way of thinking so this isn’t much an issue there. But it is for public schools. Now, don’t get me wrong, there are some vaccines I feel no hesitation about giving to my kids (on a delayed schedule) while there are others I’d like to see more long term research on that doesn’t come from the pharmaceutical company that manufactures and profits from it. There is also a religious exemption (a certain type) say that your child cannot get into heaven if they have been vaccinated. My children get vaccinated for things like the hepititis shot, that their little bodies could NEVER become immune to naturally. 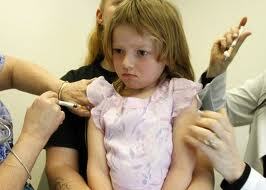 But chicken pox, the flu, measels, etc, if they catch it naturally, its better for them. Then their bodies know how to fight off the real virus. 2 of mine have had chicken pox, 2 have had measels. The flu? Its almost non-existant in our house. And guess what? My son and I BOTH caught swine flu, from the neighbor boy who got a vaccine for it. Well, he gets a flu shot of some sort every year, and gets some flu more than once a year. After my son & I recovered naturally from it, we didn’t even get a cold the rest of the year. 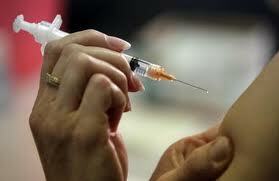 Do you think the decision to vaccinate should lie with parents? Or should the government and schools get involved?